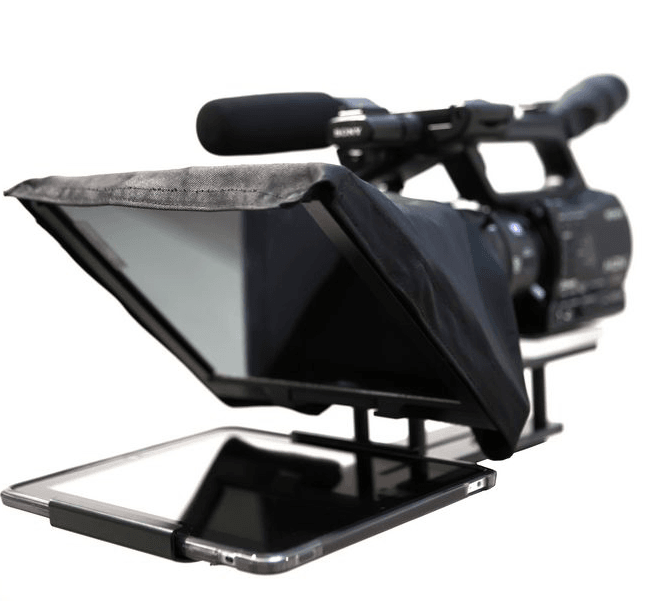 Video Production With A Teleprompter | Rewatchable, Inc.
Against and for using a teleprompter…. At Rewatchable, we really love shooting unscripted videos. We know we can capture authentic, amazing content when our customers use our proven process. Nothing really compares to when someone is speaking in an off-the-cuff natural way in a business video. An unscripted video makes the person more relatable to the viewer and can help build trust. The opposite is also true and a badly done scripted video can make the person speaking on-camera come off as a ‘cold fish’ and can make for a completely uninteresting video. When we first started Rewatchable nearly 4 years ago, we thought the unscripted video approach was the only way to go. We were wrong. Sometimes creating a scripted business video with the help of a teleprompter is just a good idea. Some businesses want to control every word and sentence that is uttered in their corporate video. That makes a lot of sense for a business that is subject to compliance issues, about to go public or get acquired etc. It also makes sense for a business that is just not confident in what might come out of their employees’ mouths during a video shoot. Scripted teleprompter videos also make sense if a company wants to “bang out” a number videos in a short time. If you are thinking about producing a scripted video with the assistance of a teleprompter, we believe the trick is to work hard to make sure the scripted video comes off sounding and looking as natural as possible. The first step is to create a script that is plain-spoken and not filled with industry jargon. There is a tendency to fill a script with language that is word-smithed to death and filled with phrases normal human beings just wouldn’t say in real life. Before the shoot, the on-camera person should read and edit the script and agree with this phrase “yup, that is something I would say.” During the shoot, the trick is to not rush and patiently wait for great content to come. The on-camera person will need to get comfortable with the camera, lights, teleprompter etc. Even the speed of the text and size of the text needs to be adjusted to meet the needs of the on-camera person so they are as comfortable as possible Finally, there is usually a tendency to stop asking for takes as to not offend the person who is given there best effort so far. That same person will be much more offended if they come across as distant and unconnected in the final video. Instead, take the extra time to get some extra takes and as the person loosens ups and becomes more familiar with the script the content will become more natural and authentic. Need help with a teleprompter video shoot? Need help creating or revising your script? Give us a call at 978.666.4068 or use our Contact Us form. Rewatchable is a Massachusetts video production company located on Boston’s north shore in Beverly, MA.